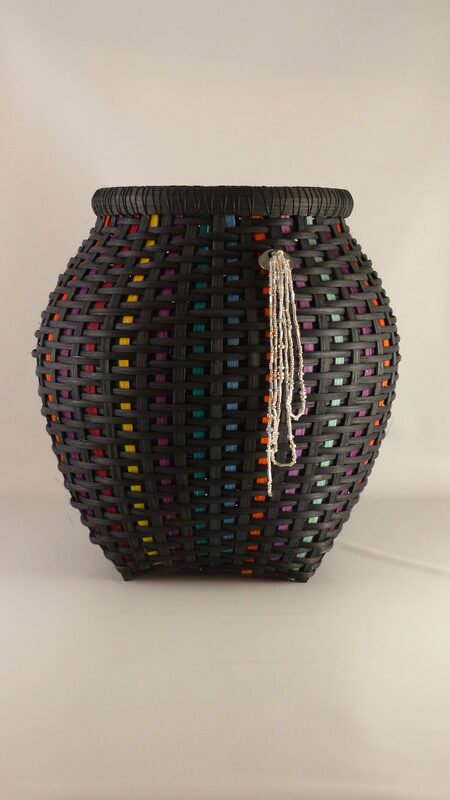 This beautiful is made with all dyed reed: black and a rainbow of other colors -to add a spark of fun. After weaving a beautiful 2/2 twill base, we will switch to a 3/3 twill for the sides. 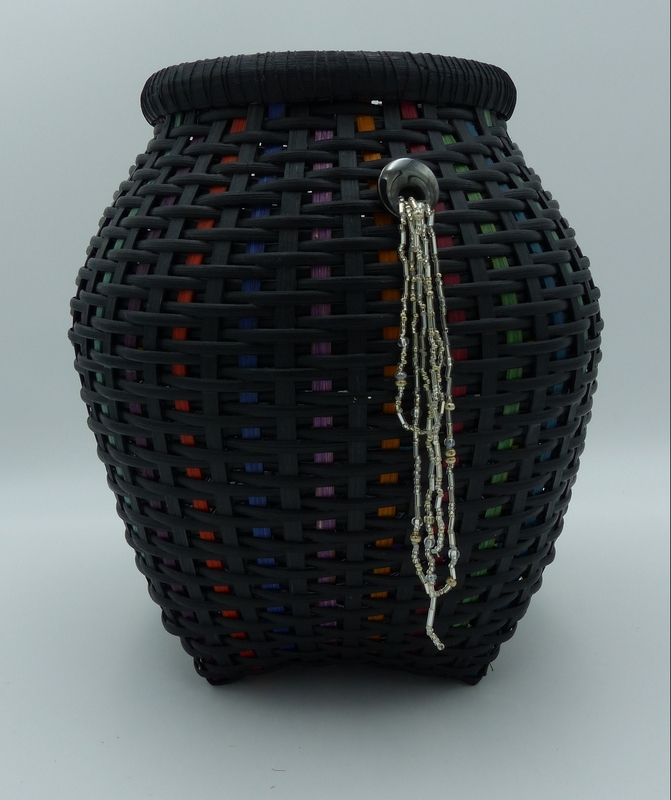 This basket requires close attention to shaping..